Please find below classifieds in category Other real estate for sale category in Portland. Please use the form above to refine your search in Other real estate for sale in Portland. If you can not find what you need in Portland please add your wanted ad to let sellers contact you. If you want to keep your contact info confidential enter only your email address so you will receive offers into your account in our system. You can click Post a classified ad link below or the button Post classified for FREE in top right corner of this page to post your classified ad in category Other real estate for sale in Portland. It is fast, easy and free to post an ad in FREEADSinUS.com. It will take you just few minutes to have the ad available on our listings. You can edit your ads any time by clicking “Edit my ads" button on top right corner of this page. Home Equity Conversion Mortgages allow seniors to convert the equity in their home to cash. The amount that may be borrowed is based on the appraised value of the home (subject to FHA limits), and the age of the borrower (borrowers must be at least 62 years old). Money is advanced against the value of the home. California is among the top states in reverse mortgage origination. In fact, Orange County is home to a few national reverse mortgage lender. The mild climate makes it ideal for seniors to stay in California during their retirement. Even with the recent housing crisis, the boom that led up to the crash resulted in many seniors becoming house rich. Lifestyle Homes, a Portland-based custom home builder, provides innovative custom home designing and building services at affordable rates. The Oregon-based builders provide eco-friendly ‘green’ custom home building services as well. Avail the green construction techniques! Get energy efficient custom home building services! Call us at 503. 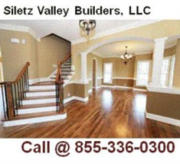 Licensed Bonded and insured Siletz Valley Builders LLC is located in Toledo. General builders, contractors, remodelers, repairs, new construction, decks, roofing remodels and repairs, bathroom and kitchen repairs For More Info:855-336-0300. This is classifieds listing page in category Other real estate for sale in Portland. The listings include ads for sale and wanted ads posted in Portland location on our site or sourced from Oodle.com from categories related to Other real estate for sale. If you posted an ad on this page before please click "Edit my ads" button to sign in your account and edit your classified ads, check the requests sent to you from your ads contact forms or check the offers sent to your wanted offers. Other real estate for sale Portland classifieds, Portland ads, Portland classified ads, garage sale Portland. Find here ads for sale, to buy and rent in Portland. Goods for sale in Portland, vehicles for sale in Portland, Portland real estate for sale, Portland property for sale, property for rent in Portland, business ads in Portland, Portland business classifieds, services in Portland, Portland services ads, jobs in Portland, pets for sale in Portland, Portland dating, Portland cars for sale.